The Ideal Graph Visualizer was created by Thomas Wuerthinger in the course of his master's thesis, and extended by Peter Hofer. Download a recent development build (ZIP, around 15 MB). 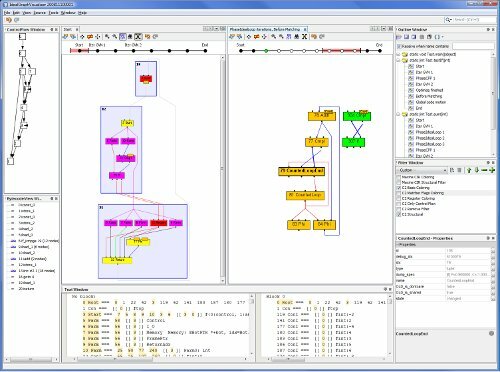 Get the source code from the Ideal Graph Visualizer project on Kenai. The Ideal Graph Visualizer is part of the OpenJDK. Start the Ideal Graph Visualizer (development version) via Java WebStart! See below for example files to visualize. XML Schema definition of the Ideal Graph Visualizer XML file format. Graphical representation of the Ideal Graph Visualizer XML file format. Items with dashed borders are optional. Master's thesis of Thomas Wuerthinger.